At the age of seven, Pulisic was already dipping his twinkle toes in European waters at English minnows Brackley Town. By 16, buoyed by a career-shaping stint with the Pennsylvania Classics developmental academy, he had joined Dortmund. After winning youth titles at Under-17 and U-19 level, he was invited by then Dortmund head coach Thomas Tuchel to train with the first team during the 2015/16 winter break. It has been a case of onwards and upwards ever since. 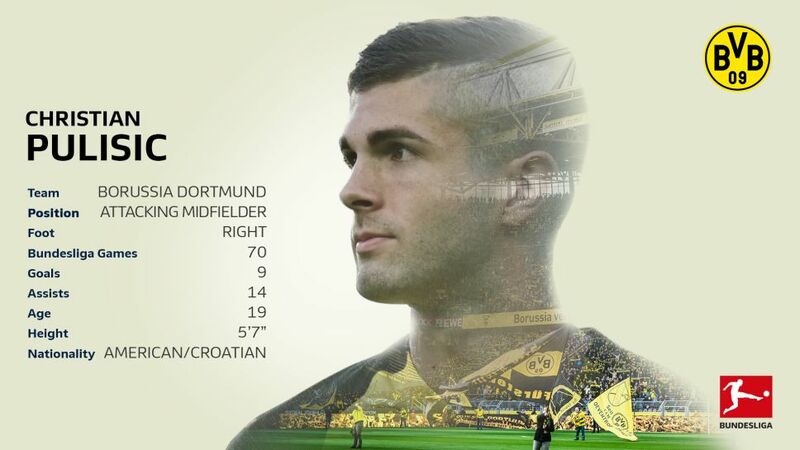 Christian Pulisic: "I try to do the best I can for myself and the people around me. I think I have a lot of things to improve on, from growing physically and getting stronger to improving what it is I feel I do best, running at defenders. I want to find new ways to attack opposition defences and to help my team going forward."